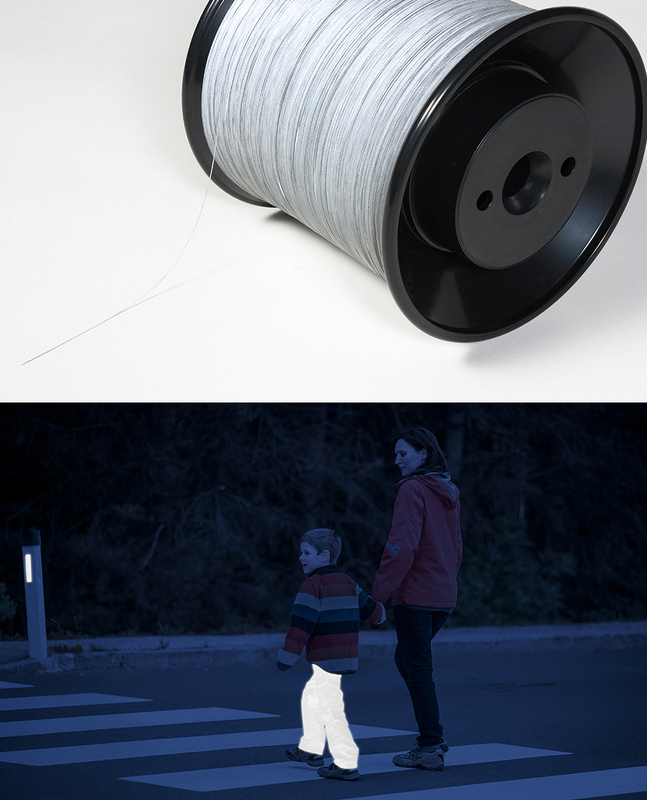 The retro-reflective yarn by TANN GERMANY significantly contributes to the safety of road users in the dark. Thousands of tiny, hollow glass beads, only visible under a microscope, are applied to both sides of a carrier film (polyester). They reflect incident light beams, for example from car headlights. This substantially increases the visibility of children, pedestrians, runners and cyclists.